This isn’t a photo printer. 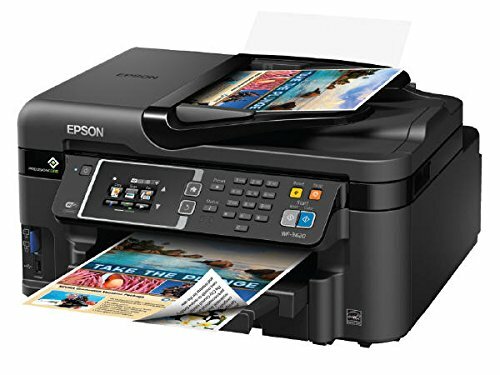 It’s important to say that first, because we’re all used to thinking of inkjet printers as the machine on our desk at home that’s a bit slow and eats ink but, fed a packet of photo paper, delivers prints just as good as the ones you used to get from Snappy Snaps. 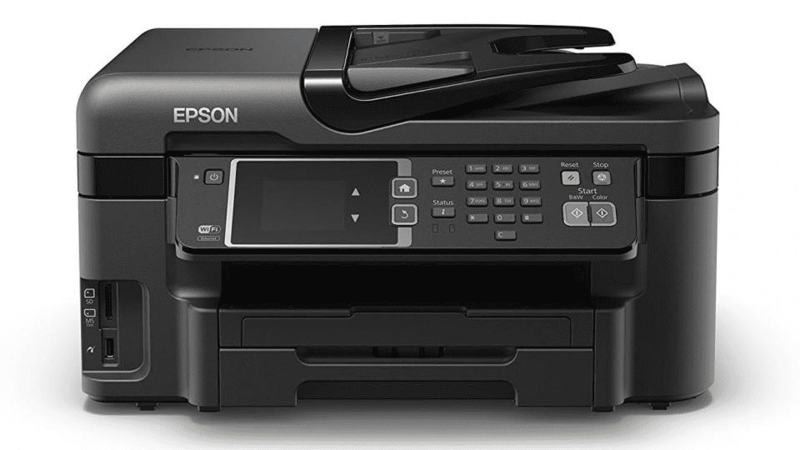 Laser printers, by contrast, sit in the corner at work and churn out boring black-and-white documents faster than your boss can ask if you’ve done that print-out yet. 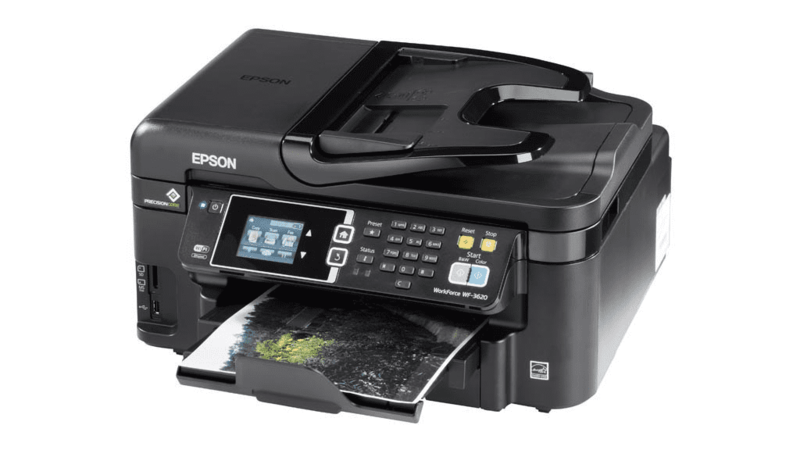 As the name of Epson’s WorkForce range indicates, it’s aimed more at the latter kind of task, built for speed rather than aesthetic merit. 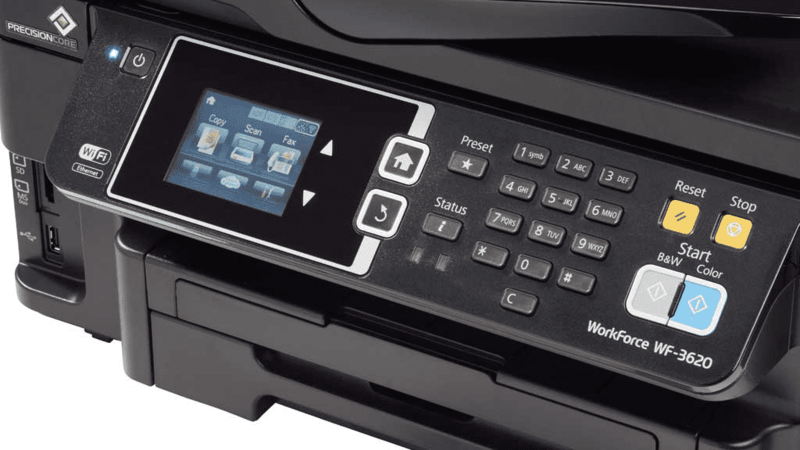 Yet it’s a full-color inkjet that’s as cheap as many others, with built-in Wi-Fi, slots to print straight from USB drives and SD cards, and a scanner on top with a 35-sheet automatic document feeder (ADF) that’s so compact you’d never guess it was there. For fans of vintage communications technologies, it can also handle faxes (given a nearby telephone socket) and memory sticks, the rival to SD cards that Sony launched in 1998 and then quietly forgot about. 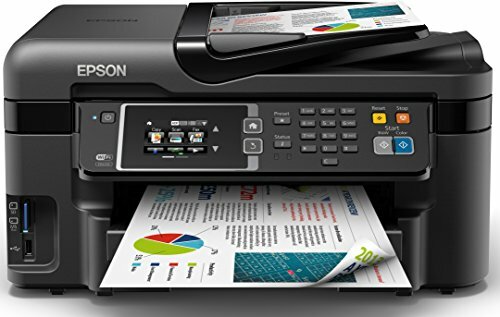 Epson reckons this model will print up to 19 pages per minute (ppm), and we managed 17.4 on black text, although color graphics knocked this down to 5.4ppm. A postcard-sized color photo took two and a half minutes, though, and looked just OK. A black-and-white photocopy took 13 seconds, and ten pages went through the ADF in less than a minute and a half, with color taking an extra minute. An A4 page scanned to our PC at a sharp 300 dots per inch (dpi) in nine seconds, and even bumping up the resolution to 1200dpi we captured a 6x4in photo in 33 seconds – much faster than some scanners. Scanning quality was better than printing. Overall, we had no serious complaints, and you really are getting a faster than average inkjet printer for a very reasonable price. 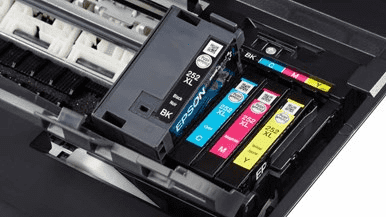 Running costs always need taking into account, though, and using Epson’s official XL cartridges, rated at a whopping (but very’ optimistic) 1,100 pages, you’ll pay just over 6p per page of mixed text and color graphics, which is middling for an inkjet. If top-quality photos aren’t your priority, and you need to print more than the occasional few pages, this looks like an excellent deal.